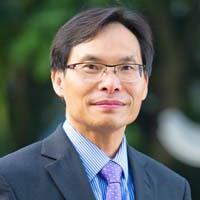 Prof Kwong joined City University as a lecturer in the Department of Electronic Engineering in 1989. Before joining City University, he worked for Control Data Canada and Bell Northern Research as diagnostic engineer and member of Scientific Staff, respectively. At present, he is the associate editor of the IEEE transactions on Industrial Informatics and IEEE Transactions on Industrial Electronics, Journal of Information Sciences. He is also the Admissions Officer for the graduate programme in the Department. His research interests are evolutionary algorithms, pattern recognition, digital watermarking, video coding and network intrusion systems.